This release contains: 1 Related Document, 68 Photos Global debut of next-gen sporty Civic Si production models, Thursday, Apr. 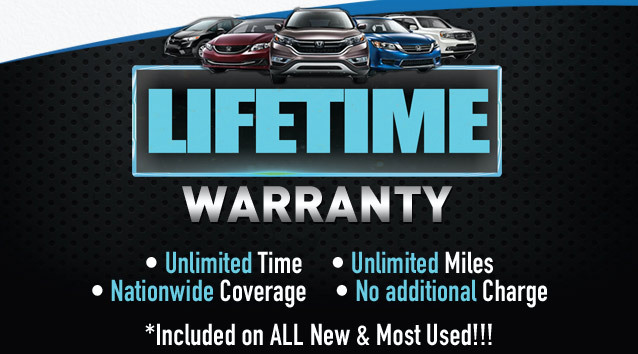 This release contains: 1 Related Document Model Trim Name MSRP 1 EPA Ratings 2 (city/hiwy/combined) Accord Sedan L4 2.4 L4 LX 6MT $22,455 23/32/26 2.4 L4 LX CVT $23,255 27/36/30 2.4 L4 Sport 6MT $24,515 23/32/26 2.4 L4 Sport CVT $25,315 26/34/29 2.4 L4 Sport CVT w/ Honda Sensing $26,315 26/34/30 2.4 L4 Sport SE 6MT $25,515 23/32/26 2.4 L4 Sport SE CVT $26,315 26/34/30 2.4 L4 EX 6MT $25,830 23/32/26 2.4 L4 EX CVT $26,630 27/36/30 2.4 L4 EX CVT w/ Honda Sensing $27,630 27/36/30 2.4 L4 EX-L CVT $28,920 27/36/30 2.4 L4 EX-L CVT w/ Navi & Honda Sensing $30,920 27/36/30 Accord Sedan V6 3.5 V6 EX-L 6AT $30,995 21/33/25 3.5 V6 EX-L 6AT w/ Navi & Honda Sensing $32,995 21/33/25 3.5 V6 Touring 6AT $34,930 21/33/25 Accord Coupe L4 2.4 L4 LX-S 6MT $24,125 23/32/26 2.4 L4 LX-S CVT $24,975 26/34/29 2.4 L4 LX-S CVT w/ Honda Sensing $25,975 26/34/29 2.4 L4 EX 6MT $26,250 23/32/26 2.4 L4 EX CVT $27,100 26/34/29 2.4 L4 EX CVT w/ Honda Sensing $28,100 26/34/29 2.4 L4 EX-L CVT $29,095 26/34/29 2D 2.4 L4 EX-L CVT w/ Navi & Honda Sensing $31,095 26/34/29 Accord Coupe V6 3.5 V6 EX-L 6MT $31,275 18/28/21 3.5 V6 EX-L 6AT $31,275 21/32/24 3.5 V6 EX-L 6AT w/ Navi & Honda Sensing $33,275 21/32/24 3.5 V6 Touring 6AT $34,475 21/32/24 1 Manufacturer’s Suggested Retail Price (MSRP) excluding tax, license, registration, $875 destination charge and options. 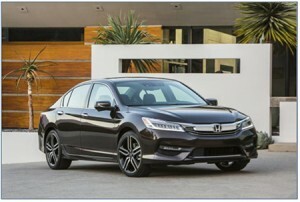 This release contains: 1 Related Document Overview Together with the 2016 Civic Sedan, the new Civic Coupe features the most rigid, tightly sealed body and aerodynamic body design in Civic history, with the greatest use of high-strength steel for any Civic model ever made, offering significant advancements to overall noise, vibration and harshness (NVH), ride and handling, fuel efficiency and collision performance. 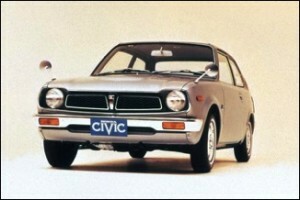 This release contains: 1 Related Document Civic is Honda’s longest-running automotive nameplate and its largest selling model globally. Its U.S. 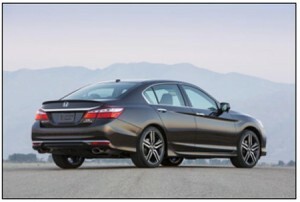 This release contains: 1 Related Document Overview Crisply styled and aerodynamically efficient, the ninth-generation Accord Sedan and Accord Coupe body designs and engineering features are the most sophisticated in the Accord nameplate’s history. The 2015 Honda Civic Si Coupe and Sedan are now on sale at Honda dealers nationwide with a manufacturer’s suggested retail price (MSRP) starting at $22,890 1 for the Civic Si Coupe and the Civic Si Sedan starting at $23,090 1 .